There are an infinite amount of home addition ideas to consider when embarking on a home expansion project. Expanding the living space in your home is a major undertaking and is an important decision. A home addition or major home remodeling project is both expensive and complicated however the short term and long term benefits can be very rewarding. It can provide you with a new bedroom, family room or kitchen, and can significantly increase the value of your home. When contemplating a major home construction project there are a number of home addition ideas that you might want to consider before breaking ground. Building a home addition onto the exterior of your home can often be one of the most expensive solutions for creating additional home living space. Besides requiring an architect in most cases, there are also property setbacks and possible zoning regulations that may need to be evaluated. In addition, gas and electric utilities may need to be brought in to move gas or electric lines. Many of these issues are unnecessary when remodeling an existing portion of your home to gain living space. A potentially lower cost home addition idea that can provide additional living space, and can save you money and hassles, is to finish your basement. If your basement is dry, or can be made to be dry, and the basement ceiling is high enough, a finished basement is an excellent home remodeling idea for gaining new living space. Another home addition idea that is a great alternative to building a home addition is to finish an attic. Though some structural strengthening may be required for the attic floor, an attic conversion project is a great way to gain an additional home living space. Frequently attic conversions are used to create additional bedrooms, offices, and even art studios. Family room additions and bonus rooms are two of the most popular types of additions that home owners pursue. These types of additions provide new common space for the family and make ideal living spaces for entertaining family and friends. 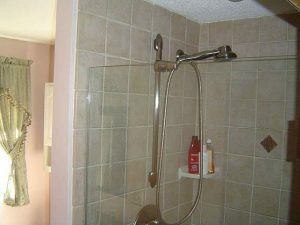 Frequently home owners desire an additional bathroom. Bathroom additions can be as simple as putting in a basic powder room, to as complex as a bathroom spa for a master bedroom. A bathroom addition can be tricky as it involves the installation and retrofitting of new plumbing supply lines and drains. Furthermore, a new bathroom addition frequently has to be carved out of existing living space. This can be difficult to do and usually creates a significant disruption to the family and home. A kitchen remodeling project is another popular home addition idea. This can be as involved as building a new addition onto the home to accommodate the new kitchen, to as simple as remodeling the existing kitchen space. In either case, a kitchen remodeling project is an expensive endeavor. Kitchen cabinets and countertops can be very expensive and require special design and planning considerations. An attached garage addition is another popular home addition idea and one of the most practical and cost affordable. A garage addition can be left roughed in, or finished depending upon your financial situation. A garage addition can provide for supplementary storage place to free up space in the main part of a home. In some cases, converting a garage into a finished living space is another option for creating new living space. It is, however, my least favorite option for creating new living space. A garage is just so useful for storing not only automobiles, but for storing other items and enabling a workshop area. So before jumping into a new home addition project consider all of these home addition ideas. Some of these options may present a better and more cost effective solution than your original ideas and plans. It is also important to note that some will provide higher rates of financial return than others. However, regardless of your decision a new home addition typically will increase the value of your home, as well as provide you with addition living space, so in most cases you can’t go wrong. Finally, whatever you decide upon as the best home addition idea for you, make sure you develop a well thought out set of plans and find the right building contractor. By doing so you will help to ensure that you achieve the new living space you desire.